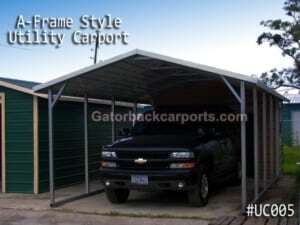 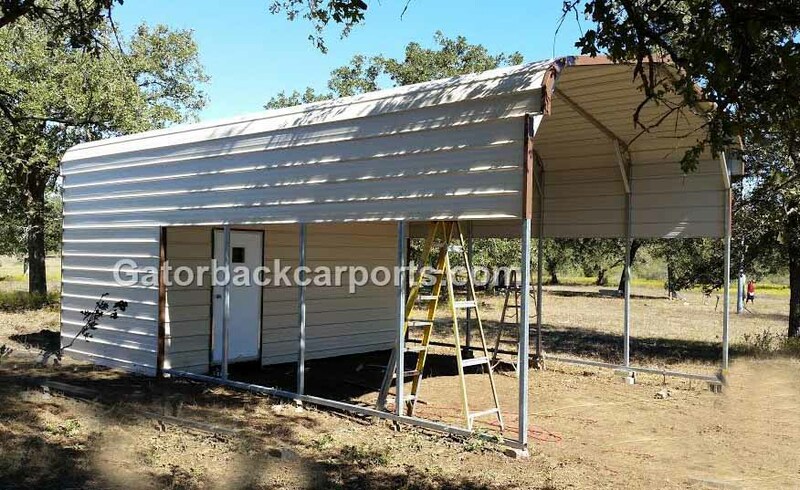 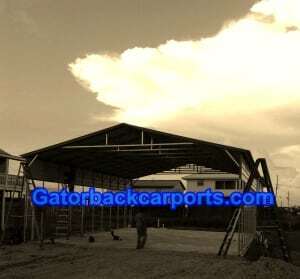 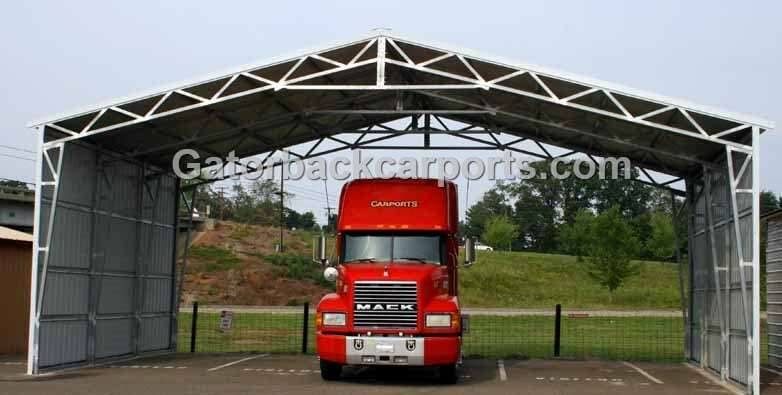 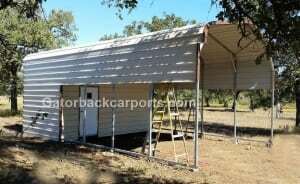 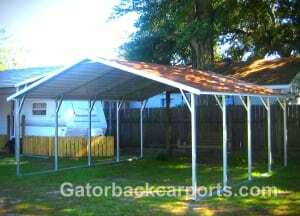 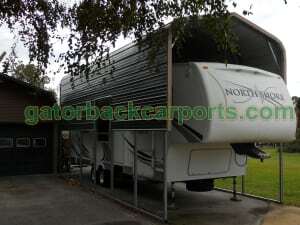 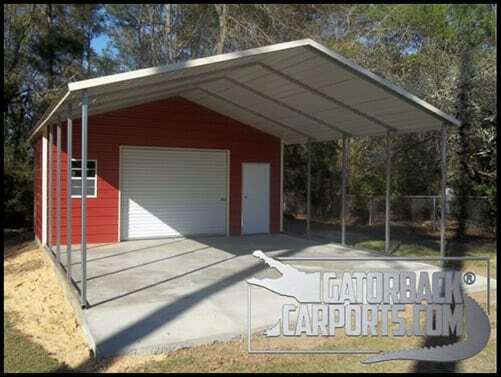 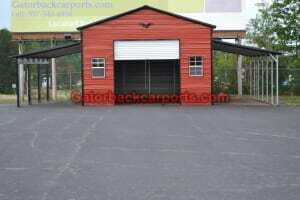 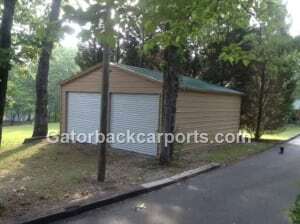 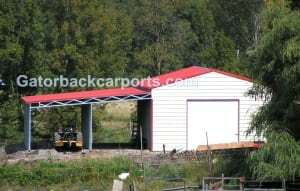 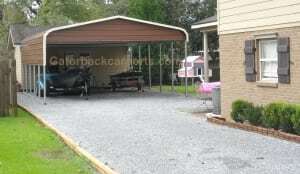 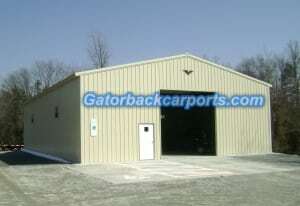 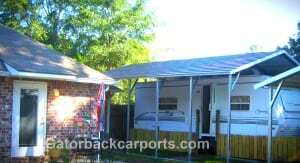 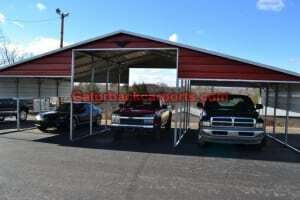 Listed below are Metal Carport Prices along with a picture of the product. 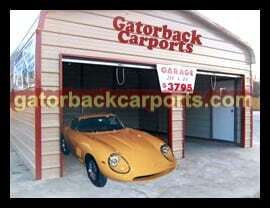 Our metal carports come with Free Delivery and Installation. 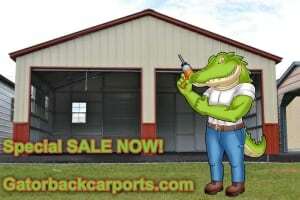 Prices below are good for Arkansas(AR), Georgia(GA), Kentucky(KY), Louisiana(LA), Missouri(MO), North Carolina(NC), Oklahoma(OK), South Carolina(SC), Tennessee(TN), Texas(TX), Virginia(VA) and West Virginia(WV) and parts of Alabama. 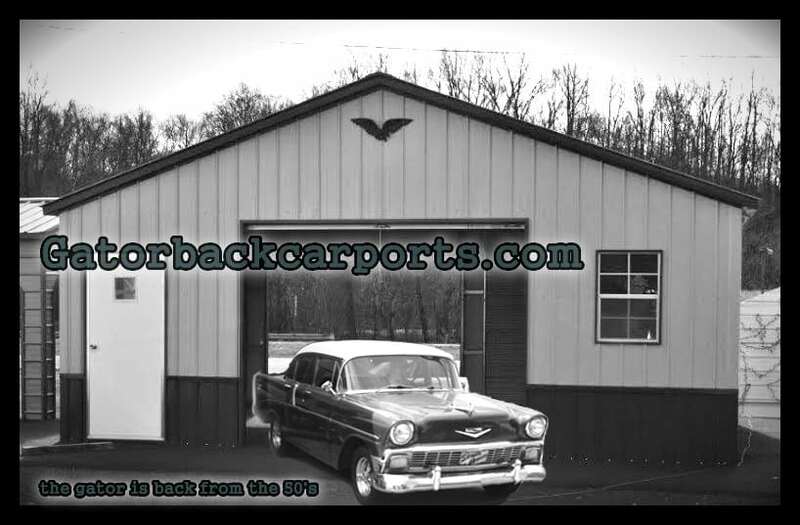 Click on Any Pictures to Enlarge! 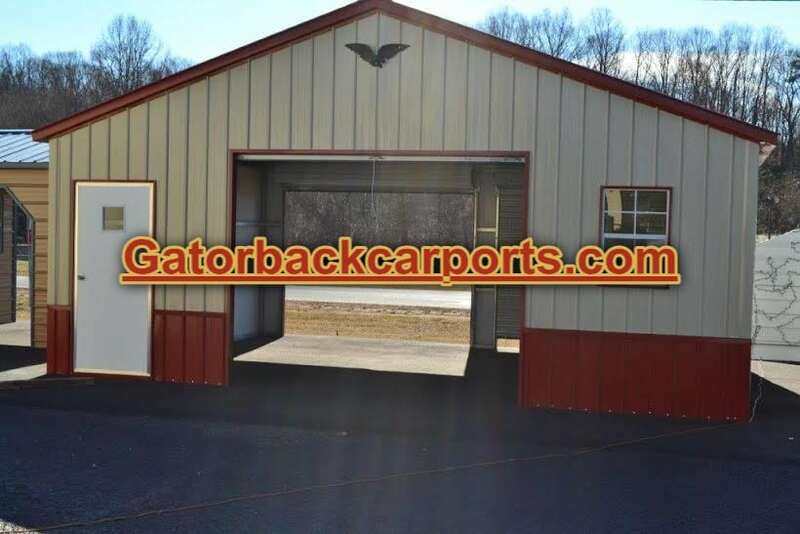 At the Carport Calculator not only can you get instant pricing but you can use the both ends option to close the ends and both sides option to close the sides to completely inlosed your building. 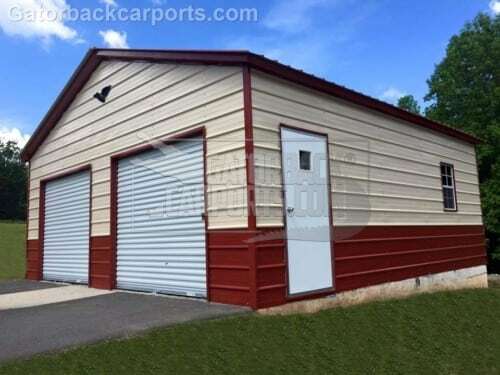 Select the colors, doors sizes, add a commercial roll up door, or walk in door all with a simple click. Get Instant Pricing Now! 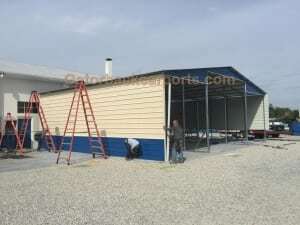 See More Commercial Building On Site Job Pictures like the one above here! 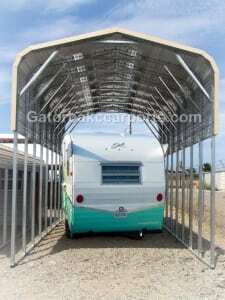 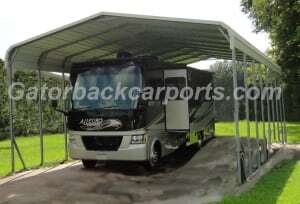 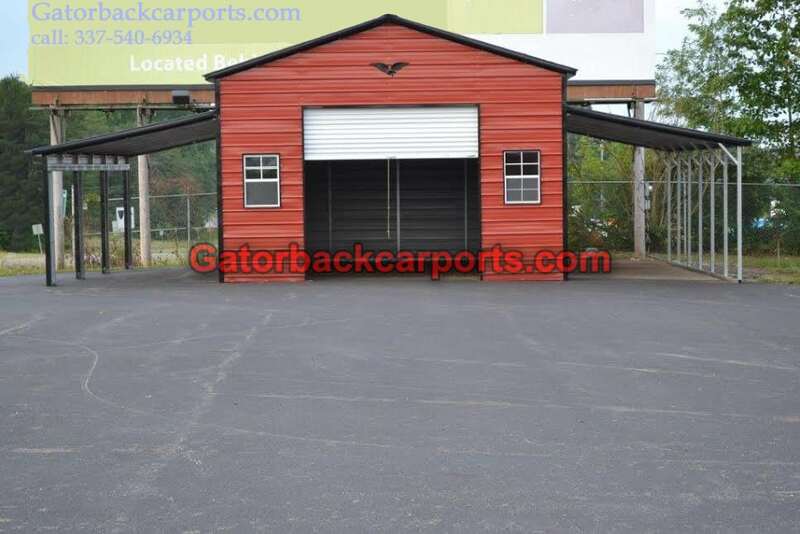 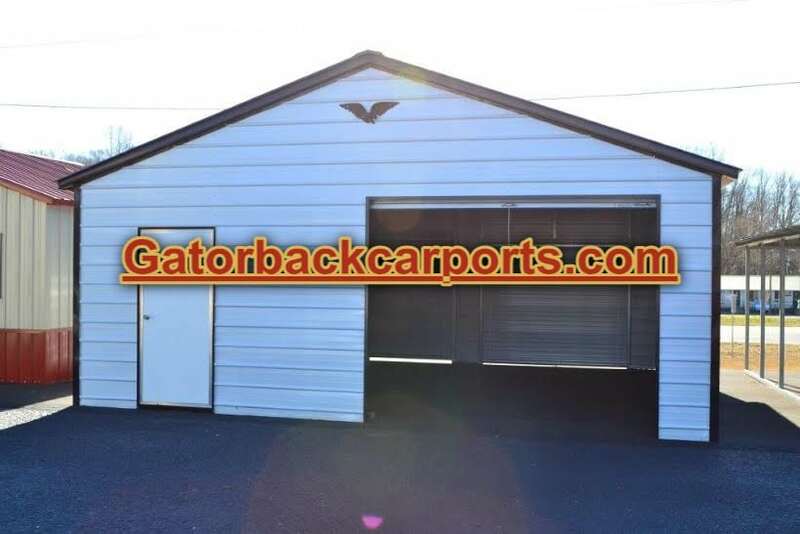 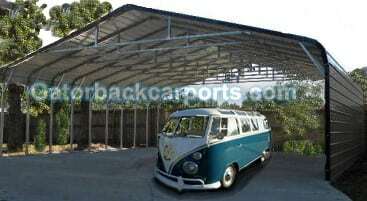 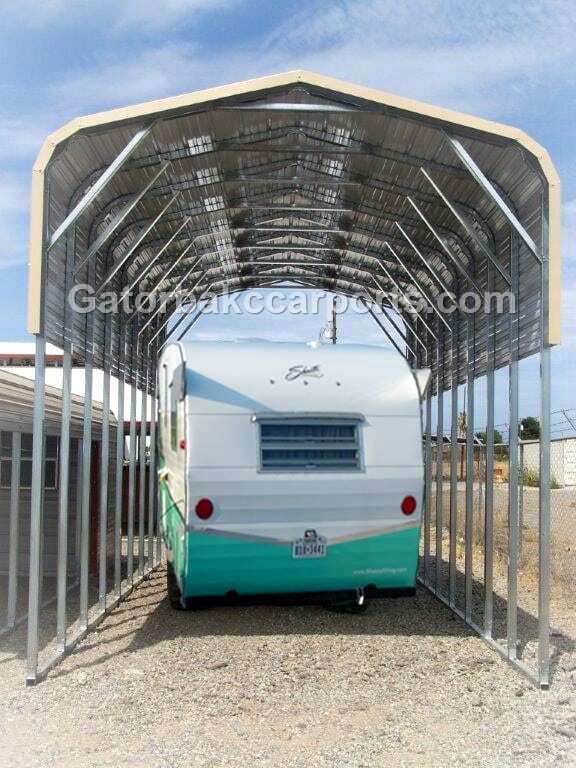 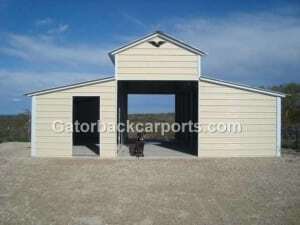 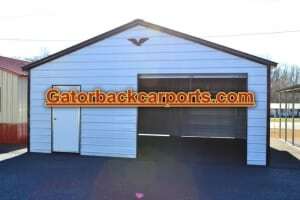 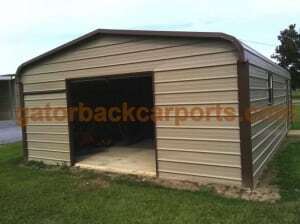 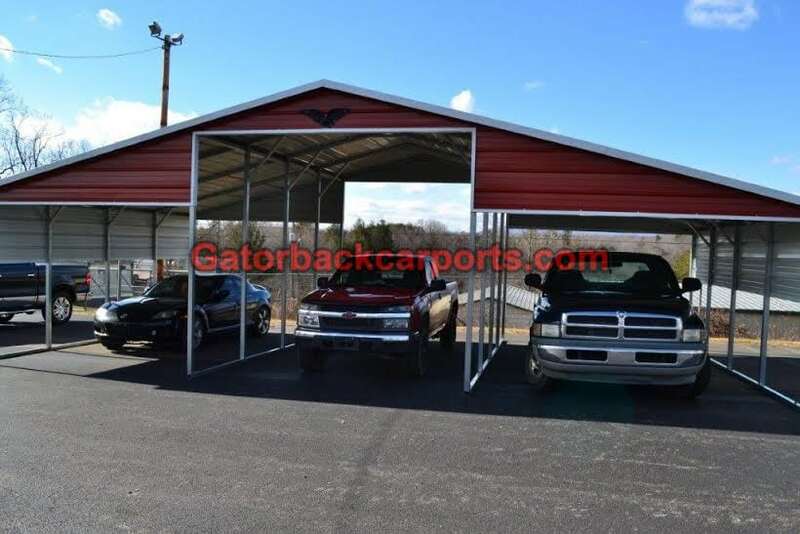 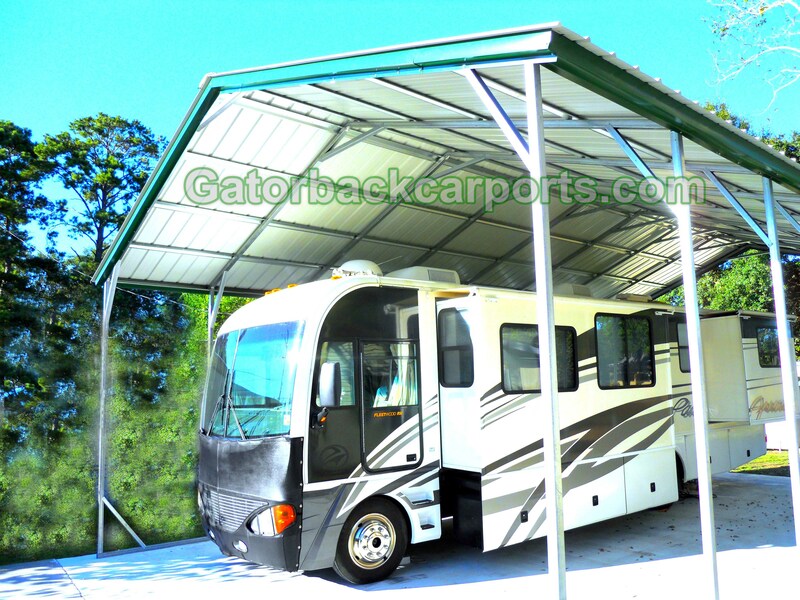 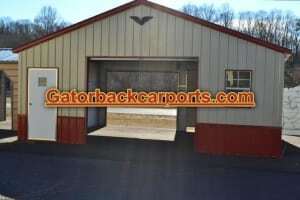 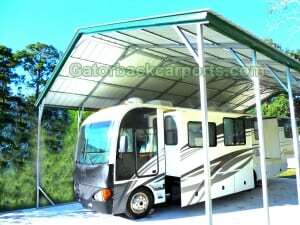 Vertical Roof Garage, front Covered Area, Sized at 24 wide x 41 long x 9 tall sides with 10×8 Garage door, (custom walk in door, custom window purchased separately) Total Job including delivery labor and materials $8,033.00 (priced for Southern States) Comes with 24 by 31 feet long storage area, and 24 wide by 10 deep Front Porch Steel Cover. 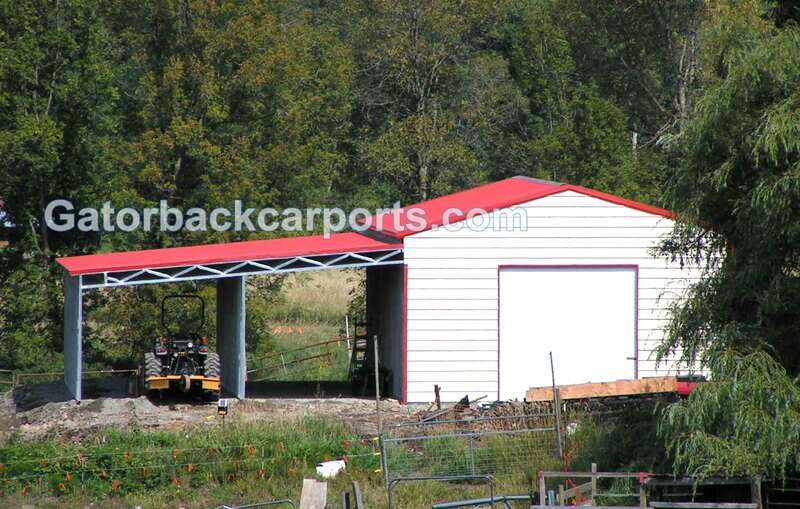 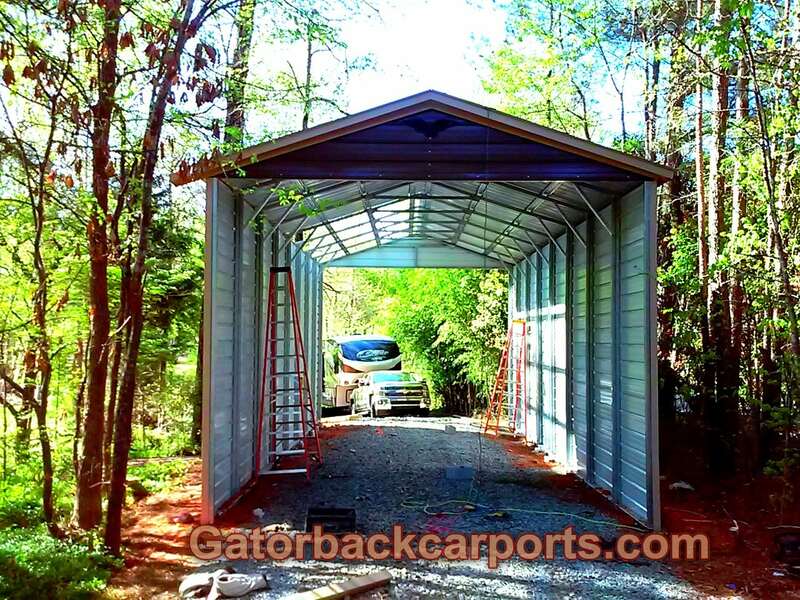 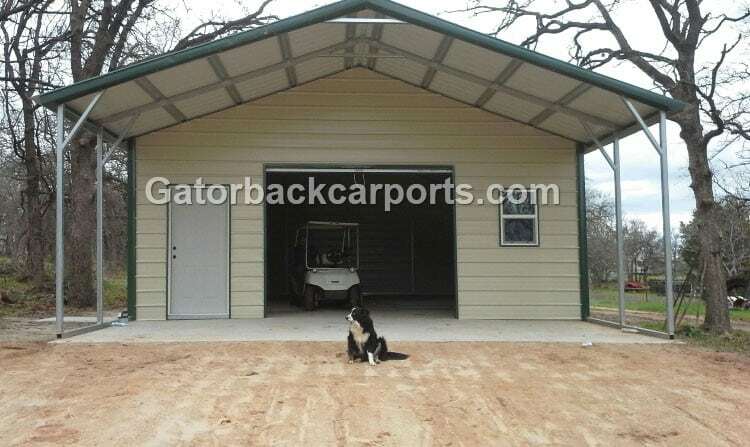 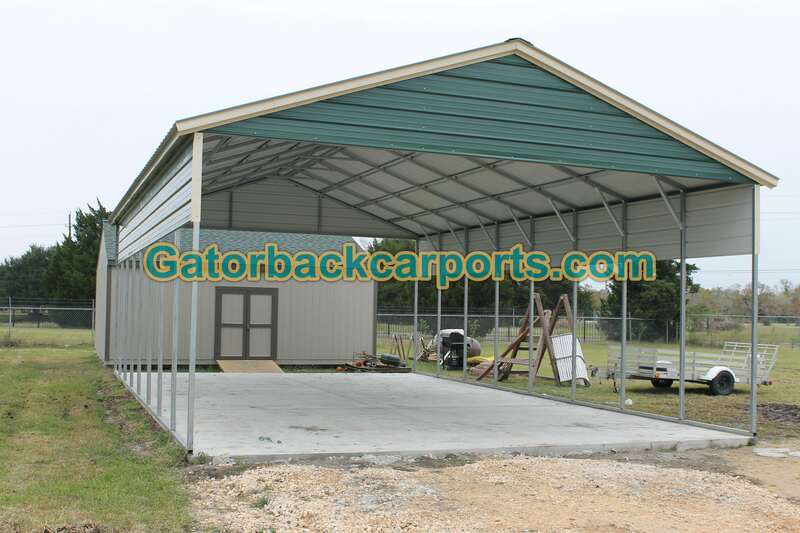 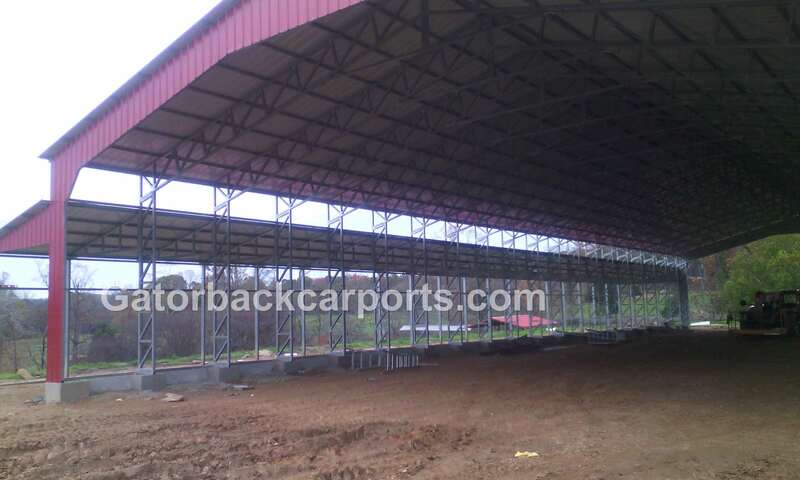 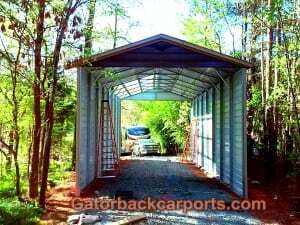 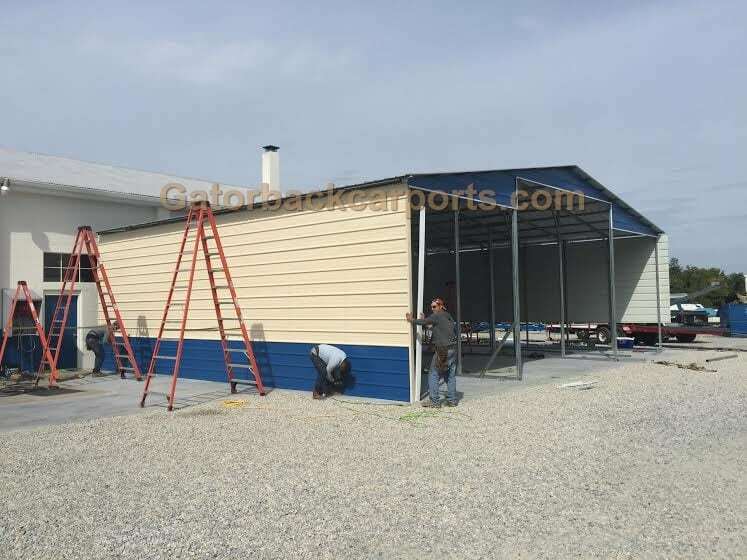 See our Carport Combo Units ( carports with storage), Metal Utility Buildings, Lean To Carports, Lean To Garages, Commercial Grade Carports, and more. 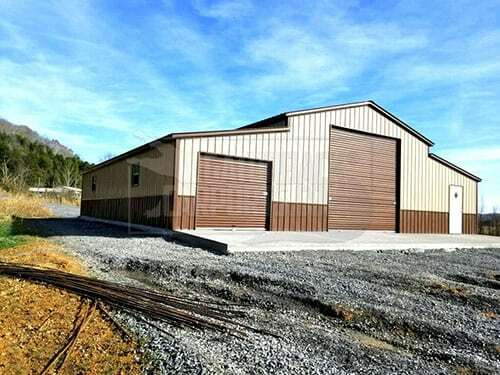 The calculator will figure our commercial grade buildings instantly. 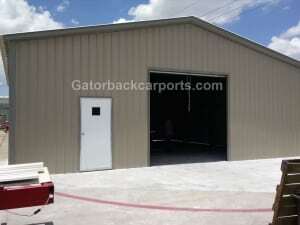 See Commercial Building On Site Job Pictures here!